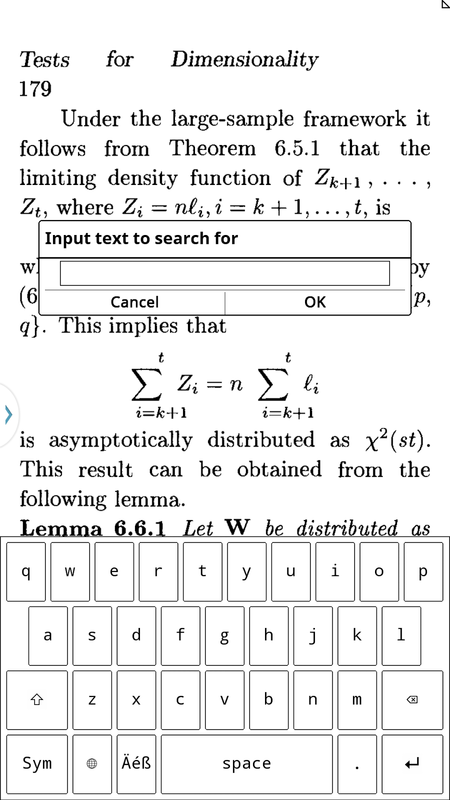 KOReader is an open source document viewer, originally created for Kindle e-ink readers. It currently runs on Kindle 5 (Touch), Kindle Paperwhite, Kobo and Android (2.3+) devices. 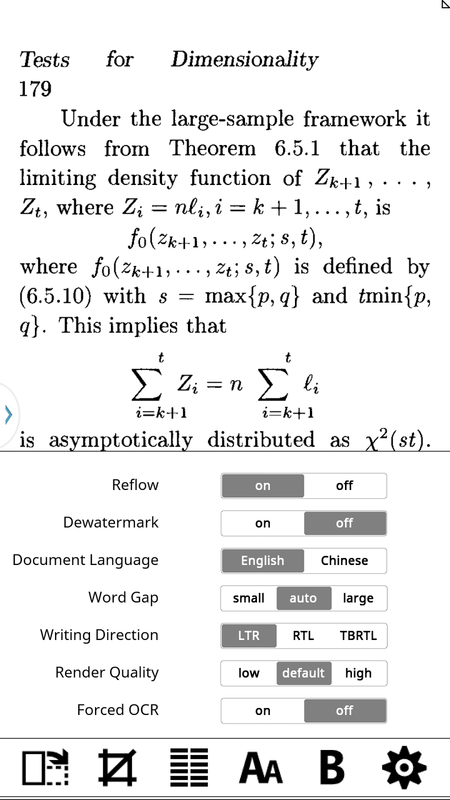 The most important feature of this app as a pdf reader that many other apps (including Adobe's own PDF Reader for Android) don't have, is text reflow for scanned documents and scientific documents with lots of mathematical formulas, thanks to its built-in K2pdfopt support. What's more, since it is originally designed for Kindle e-ink reader, the app has a very similar look and feel as the Kindle e-ink user interface, which is very clean and elegant. However, first time users may not be used to this Kindle-like interface and touch. For example, at first I thought I need to scroll down from the top of the screen to open reader's setting menus, which is of course a conflict with the default gesture input for opening the Android message center. Then I realized that a single tap at the top center of the screen is the right way to open the setting (while the typical back and menu buttons of an Android phone actually do nothing with the app). But if you have some experience with the Kindle e-reader, it is very natural and easy for you to get started with the app.